Find collectible books and rare first editions as well as thousands of titles from a variety of vendors at the Midwest Antiquarian Booksellers Association’s 58th Chicago Book & Paper Fair. Held in the stunning Art Deco ballroom of the Chicago Journeymen Plumbers’ Union Hall, the exposition features fine specimens of printed materials across a variety of subjects, all available for sale by booksellers from across the country. You can expect to score rare maps, leather bound editions, autographs, broadsides, vintage pulps and magazines, photos, posters and much more. 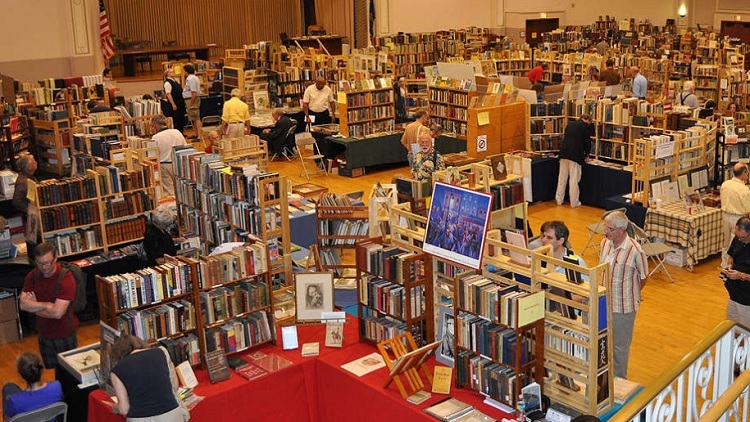 If it’s collectible and printed on paper, chances are you’ll find it at the Chicago Book & Paper Fair.